Everyone was super nice. Completely at ease. Only complaint was the long wait time after my scheduled appointment time,but that seems to be the way it is for the entire medical field. Everyone was super nice. Completely at ease. Only complaint was the long wait time after my scheduled appointment time, but that seems to be the way it is for the entiremedical field. Dr. Le was methodical with his approach to giving me an accurate diagnosis based on my symptoms. He genuinely cares andasked all the right questions. He then explained his thought process for what seemed most likely and why, as well as entertaining some other possibilities. He then provided me with a prescription with additional refills if needed. If this medication doesn't work and I need a re-evaluation I'd go back in a heartbeat. Dr. Le was methodical with his approach to giving me an accurate diagnosis based on my symptoms. He genuinely cares and asked all the right questions. He then explained his thoughtprocess for what seemed most likely and why, as well as entertaining some other possibilities. He then provided me with a prescription with additional refills if needed. If this medication doesn't work and I need a re-evaluation I'd go back in a heartbeat. Dr. Le is board certified in Family Medicine and completed a fellowship in geriatric medicine at the prestigious Florida Hospital. He graduated from Ross University School of Medicine and completed his residency at Hillcrest Medical Center in Oklahoma. 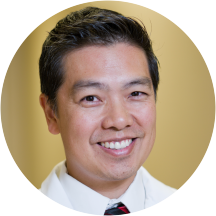 He now proudly resides in Arizona and welcomes new patients to his practice. Book your appointment today! Dr. Baon Andy Le was extremely thorough and considerate. He assisted in referring me to a specialist and arranged for a full labs to be done considering my recent hospitalization. Very caring doctor, I am thankful for his kind demeanor and help. Although I first saw Dr. Le’s PA, he followed up and came to review the situation with me. Most would just leave it to the PAs. Too hard to get a hold of the office via phone. Would not go back. Exemplifies Baoan. What's in a name? I actually had Dr. Glory! She did an amaze job with my son! Definitely would recommend this place and the staff there was just awesome!!! The office cares for their patients. Great bedside manner! Dr.Baoan Andy Le was absolutely amazing. Myself and son were first time patients and he really took the time out to not only treat us but to listen to any and all concerns as well as get to know us. Itis really hard to find a doctor who will give you their time and listen, and Dr.Baoan Andy Le did just that. I saw Dr. Benjamin for this visit. He was very attentive to what I had to say and also about what the paperwork that I had with me said. He also ordered his own lab tests to get more information tosee what was going on with me and he wants to see me in a couple of weeks. My visit was with n.p. who was so caring. I have and will continue to recommend them. The whole office staff is wonderful. Thank u.
Dr Le has years of experience paired with a very pleasant demener. It was refreshing to visit a doctor who actually listened with concern to our issues, asked us probing questions, and provided targeted suggestions on how we could proceed. Wehave visited a number of doctors offices, the majority of them in Central Phoenix and Scottsdale. But it is here at this humble office that I believe we have found a doctor who still believes in the Hippocratic Oath and truly cares about the welfare of his patients. Staff is very friendly and professional. I am very happy with the care i received. What I like about this Dr.s office is that they take the time to listen to you. The Dr. doesn’t just fly in and out of the room which is the case in most places I’ve been too. The entire office staff is very nice and friendly. Treated me with utmost-professionalism and took his time, making me feel confident that am in good hands. Mr. Le is by far the best Dr. I have seen and staff treats you like family; with a warm welcome. So sweet and professional. Really touched. Dr. Baoan Andy Le is an excellent Dr. He listens attentively and seems to be genuinely concerned about how you are doing. Not like other doctors that see you for about 2 minutes and that’s all you get. I’m glad Ifound this app or I probably would’ve never found this Dr.
Dr. Le is amazing! I’ve never had such a caring and supportive doctor. Very easy to talk to and listens . He made me feel like family. Dr. Le was just awesome. Candid, friendly, caring, as were his entire staff. I highly recommend. I've definitely found my new primary care provider. I have to say he is one of the best doctors I have seen (and I have seen a lot). Very polite, great bedside manner, very efficient and took care of everything in one visit. If you are looking for a great doctor he is the one. Dr. Le was excellent. He didn't make me feel rushed and was kind and understanding. Dr. Le was incredible. I brought my father, who has Alzheimer’s, in today as a new patient. Everyone was so welcoming! Dr. Le and his staff went above and beyond to help us in every way possible, and we left feeling both relieved and so grateful. I have never met a more kind hearted genuinely concerned person in this field of work in my life. I would recommend Dr. Le to everyone. It was a smaller office honestly I left my appointment a changed person, he hasa way of positively reiterating what you tell him so that you leave with no questions. I look forward to my next appointment! Excellent doctor I would highly recommend him to any of my family members and friends, he takes the time to ask and respond to questions. I am not a patient there but I take my grandmother and he really takes thetime to see her and make sure she is taken good care of. He makes us feel like we are part of his family. I think it was a blessing my insurance changed and I ended up at this clinic with Dr. Le. He aided in my physical and mental health which I truly appreciated. I plan to continue receiving treatment here for any futurephysical and mental health problems. Thank you for having my best interest in our visit. The Doctor and his assistant were extremely helpful and attentive. They listened to what my symptoms were. They asked questions based on what I told them. They really thought about what was going on and how BEST to treat it. Theymade sure I know what their thought process was from start to finish. The Doctor wasn't quick to prescribe drugs; but rather looked a whole "life" approach to help me deal with my symptoms. His strategies were long term, not just mask the symptoms now. He wanted to look into the future for either "curing" or minimizing what's going on with my body. The office was clean and had a good "vibe" to it. Everyone was friendly, even if it was just to say "hello". I would highly recommend Dr. Le (or any of the other doctors there as they seem like nice chaps). EXCELLENT. Yes, I typed it in caps on purpose he is that good and so is the staff. I usually get panic attacks and I hate HATE going to the doctor unless it gets extremely serious and I have to berushed to the ER. I cannot stress how much I don't really trust medical professionals in some places and I hate going to the doctor after many severe experiences. He answered all of my questions which weren't much but he was really thorough in what he wanted to do and in describing what everything meant to be clear. His assistant and the techs were all extremely personable, complimenting me, and I did not feel judged, rushed, glossed over etc. I know this office is out of the way for me but honestly I would drive for 2 hours just to get service like this at this clinic. They treat everyone nice, the office is very, very clean and has positive inspirational messages and cards from well wishers all over the office. My information was a little disorganized the last time I came here just one criticism but I can forgive that sometimes those things happen. I felt like I was treated like a person and even though I still had a bit of a panic attack which I would have no matter what, this office helped tremendously in my health issues and making me feel like a valued patient that mattered. Thanks guys! Also, the medical students should be commended, very professional and intelligent, they will go on to do great things I believe. My son and I are both patients of Dr. Le and both think he is a great doctor. Dr Baoan Andy Le, MD was the best. He was prepared and know his information. Good of spirit and welcoming. He's the best. DO NOT trust your health and mental well-being to this physician! I left his office in tears last night after he embarrassed me in front of his staff by yelling that I can not continue to "dump" these issues on him(note that I came in with only 3 - 4 minor issues to discuss with him, one of which was prescription refills). After having given his PA student all of the information previously, he was only in the room for a total of 5 minutes before snapping; however, he had come into the room with attitude and very unfriendly. Evidently Dr. Le wants to only discuss one issue per visit so that he can continue to bill the insurance company for multiple visits. He ridiculed my idea of what my treatment plan should be and multiple times told me that I have "crappy" insurance and can't expect better treatment. Due to his unprofessional and humiliating treatment of me, I hurriedly left the office and was very upset for the remainder of the night...no patient deserves to be treated in this manner. Dr. Le has a welcoming, warm and authentically concerned demeanor. He actually listened to what I had to say, and offered advice on several alternative levels, many of which I could implement immediately. It is the kindness, respect and concernexpressed by Dr. Le, that unfortunately many healthcare professionals lack. As such, I have decided to continue to visit Dr. Le, whereas previously I would just go to urgent care or hop from doctor to doctor. Dr. Baoan was excellent, very knowledgeable, personable and kind; but the facility was sub par to say the least. It is in a rundown part of town. The doctor's office had bars on the windows and the waiting area was notclean. Unfortunately I will not be going back to see this excellent doctor because I was scared to go into the office! Well, this was my 3rd visit to get a depo shot again and to address an issue I have had for years, as I was talking he would interrupt me and talk over me and told me that because my mother(who is obese by choice, no joke) that I will be obese and continued acting like I was fat and ignored me when I said I don't eat sugar and exercise daily, he said that that didn't matter and I will be obese like my mother who, again, chooses to be obese. Very easy to talk to. Gave me his full attention. Excellent provider! Generally cares about your health!